Our last meal in Boston before driving back home. We had a very good brunch experience. My husband picked this dish and enjoyed it. A hearty portion and very flavorful. 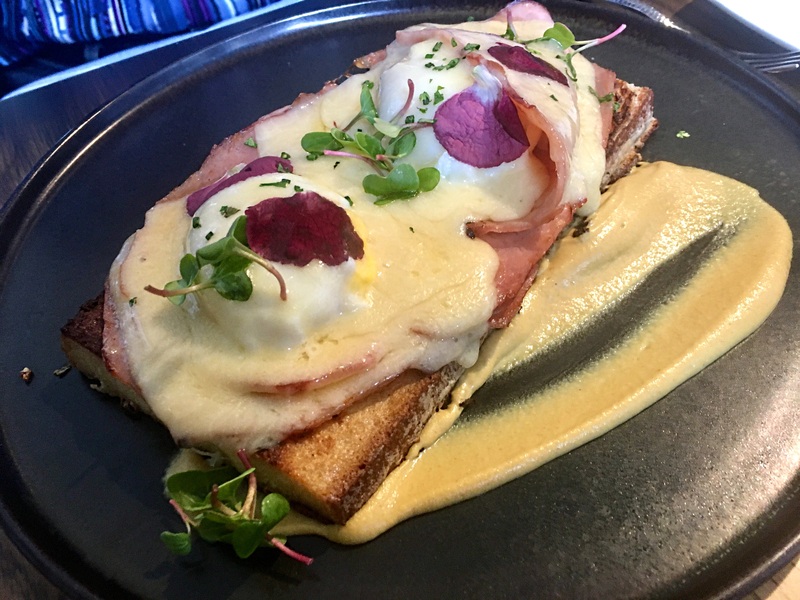 A very good brunch dish. 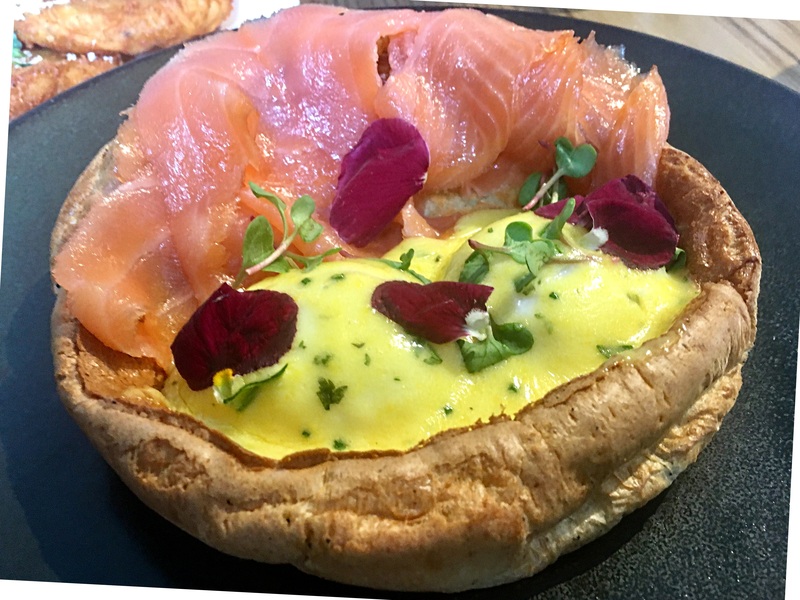 Light dutch baby with plenty of smoked salmon and rich hollandaise sauce covering the poached eggs. I was set until late in the afternoon. 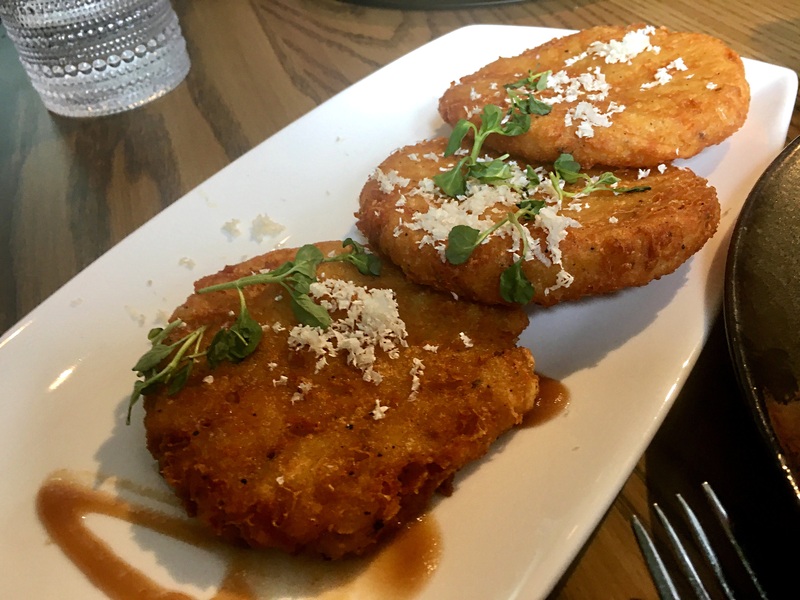 Very rich potato pancakes. I think a little more apple butter would have been a good idea, considering the size of the pancakes.